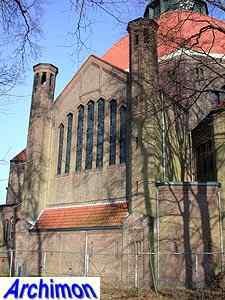 This church was a replacement for a previous building which was lost by fire in 1917. 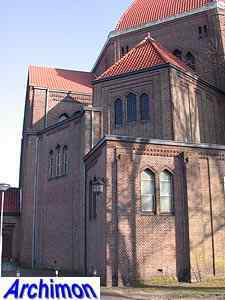 Negotiations with the protestants to buy the old church failed, and instead Jos. 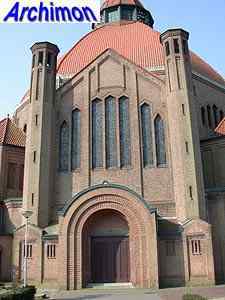 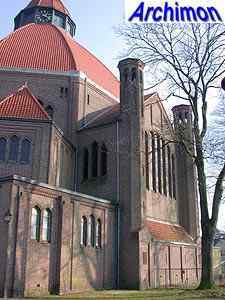 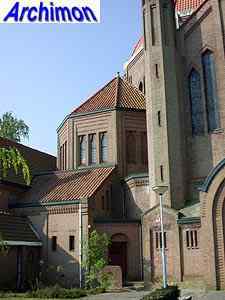 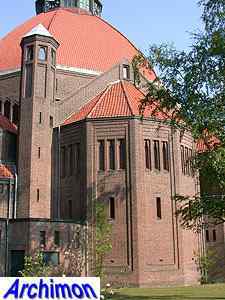 Cuypers was commissioned to design new church. 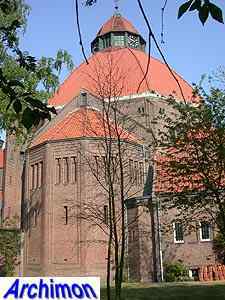 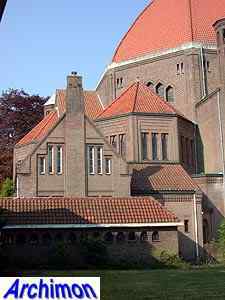 Cuypers came up with the design of a dome-church. 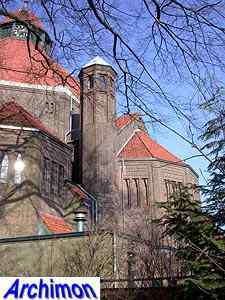 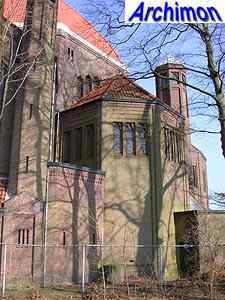 The first design from 1917 featured a tall tower. 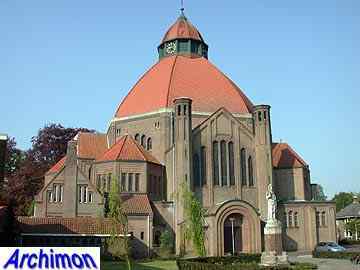 The final design was made in cooperation with his son Pierre, with whom Cuypers started a partnership in 1920. 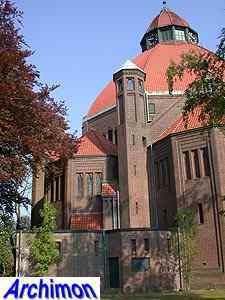 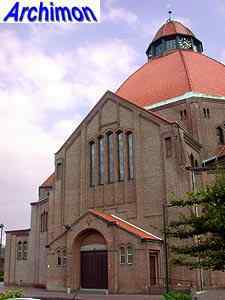 After the St. Laurentius the two architects designed two more dome-churches. 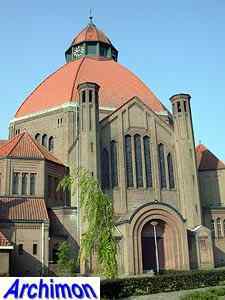 The church consists of an octagonal central space which is covered by a dome, which itself has a small lantern-tower with yet another dome. 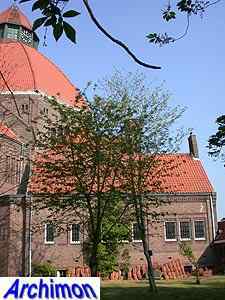 Arranged around the central space are several chapels and other spaces. 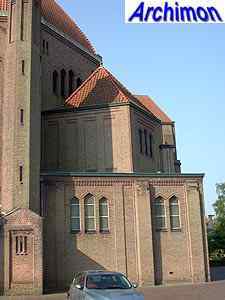 Details, like the windows, are in Expressionistic style; this church is one of the first, if not the first, of Cuypers' designs to feature details in that style.